So it’s technically half plane and half helicopter. Created by XTI Aircraft, the TriFan 600 can take off and land vertically – meaning it can land in places that planes have never been able to land before. You could, in theory, park it by your house, just like you do with your car. Using its three conducted fans, the TriFan 600 takes off vertically, much like a helicopter. After takeoff the fans rotate forward, making it fly much like a regular airplane. The airplane reaches cruise speed within 90 seconds, flies straight to the destination, and reverses the process when it’s time for landing. With the ability to carry six people (5 passengers and a pilot,) the TriFan 600 is mostly aimed at being a safe and efficient way of travel for business. It’s interior would be designed to reach the standards of what is considered to be luxury travel. Although, according to their website, business travel is not the only kind of travel the TriFan 600 could be equipped for. It could also have seating made to fit medical evacuation or air ambulatory configurations – certainly coming in handy during emergency situations. 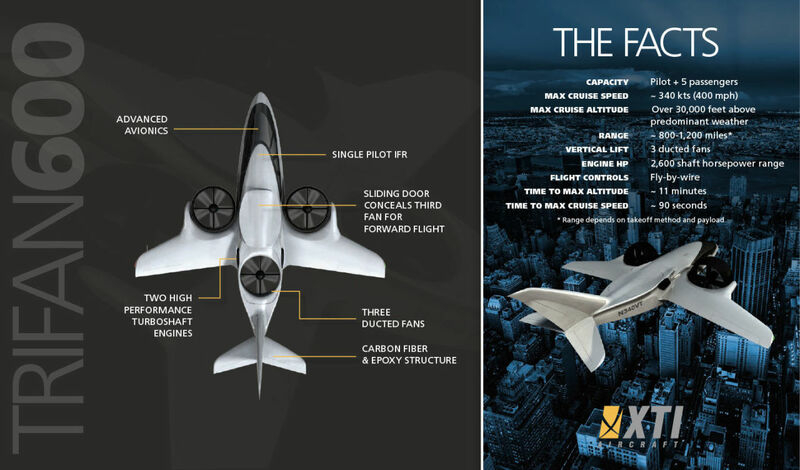 According to their website XTI Aircraft believes the TriFan 600 is, “Merging advanced, proven technologies, this six-seat, vertical takeoff and landing airplane is designed to fly as fast, as high above predominant weather, and as far as other business jets, to more places and with shorter travel times. 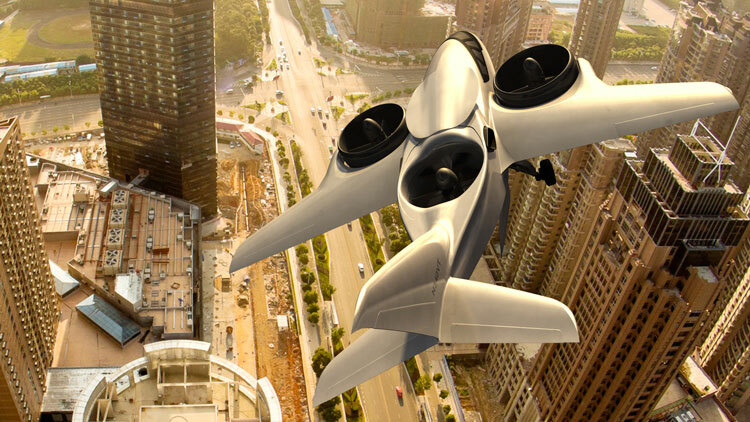 This changes everything.” They believe that there is no other jet, helicopter or aircraft that can be as efficient in reducing traveling time as the TriFan 600. And with the rise of personal aircraft transportation, this new aircraft does have the potential to be more efficient than other personal jets in the past. As you can imagine, it is difficult to get funding to turn a project such as this one into reality. To take it from just a concept to the real deal, XTI Aircraft is turning to crowdfunding to get the TriFan 600 off the ground. Through crowdfundng, interested individuals who invest in the project will receive shares in the company. If you are interested in becoming a part of this, you can visit the crowdfunding page here. Check out XTI Aircraft’s video below to learn a little more.